I was casually wandering through* the GDT European wildlife photographer of the year photos, when I found this beauty by Cristobal Serrano. 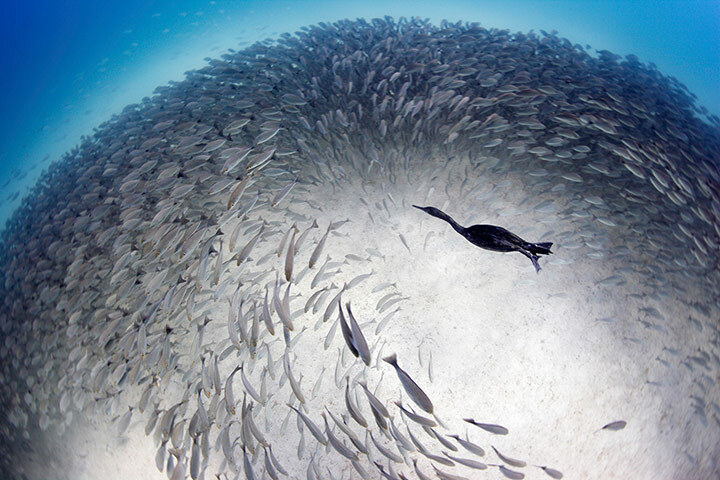 It was the ‘Underwater world’ winner so you know it is a good image, but it really got me into a metaphorical line of thinking. For my generation there are a hell of a lot of options out there, the certainties which have previously been set in stone are far more fluid for us. Which country will you live in? The world is your oyster. Husband and kids? Nope, not if you don’t want to. Predetermined corporate ladder? It is what you make it. Which is why I love Serrano’s picture so much. All the options are there, but it is never as easy or straight forward as you think. Sometimes you will see the exact thing you want, and will just have to swim your heart out to get it. You could just get lazy, and get the fish of least resistance. There will always be the lucky ones, who find their perfect dinner right off. And there is always the chance you will get the answer that you never anticipated. *By wandering through, I mean looking at on the internet on a Saturday night – its party central around here.